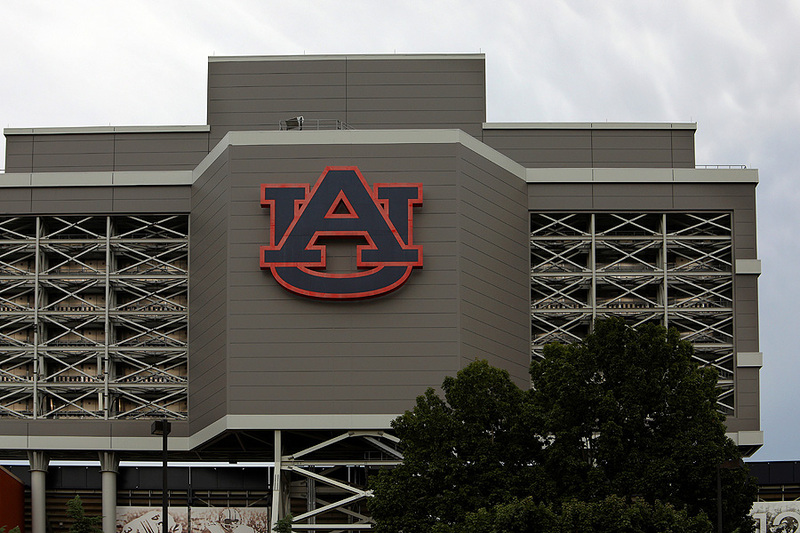 Auburn is a city in Lee County, Alabama. 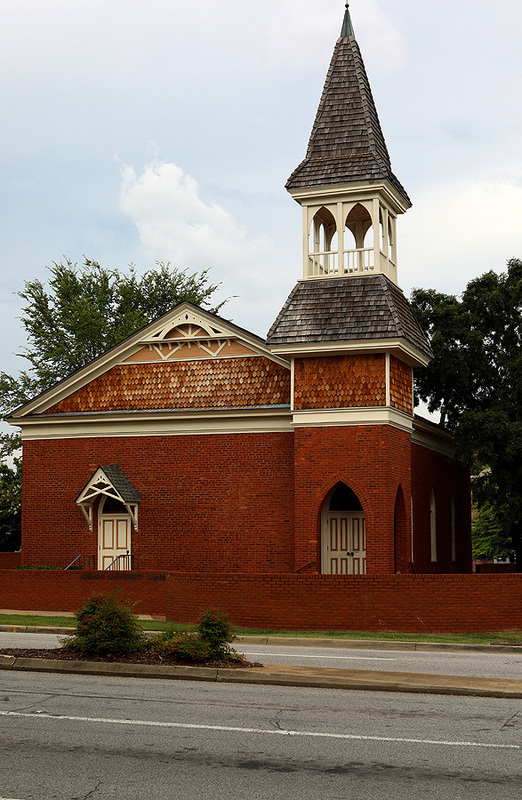 It is the largest city in eastern Alabama with a 2016 population of 63,118. 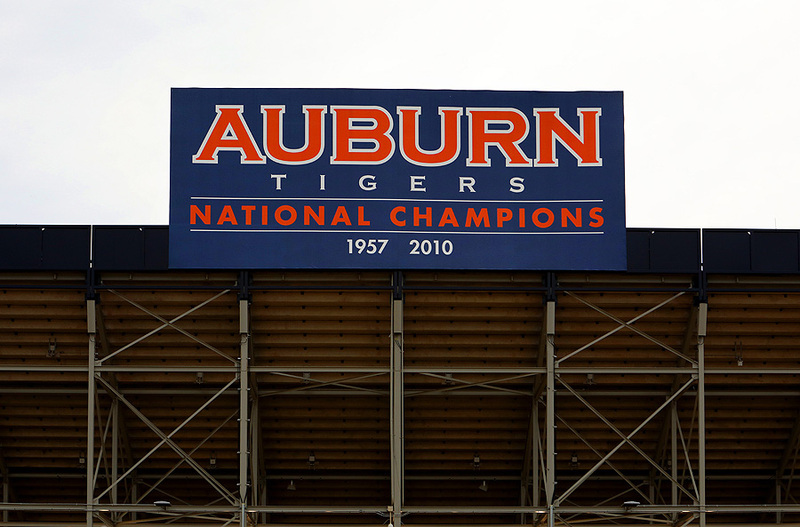 It is a principal city of the Auburn-Opelika Metropolitan Area. 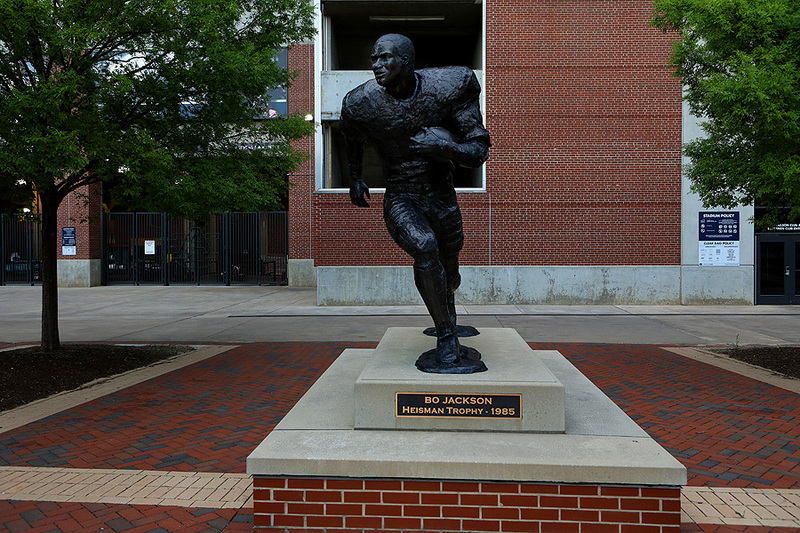 Auburn is a historic college town and is the home of Auburn University. 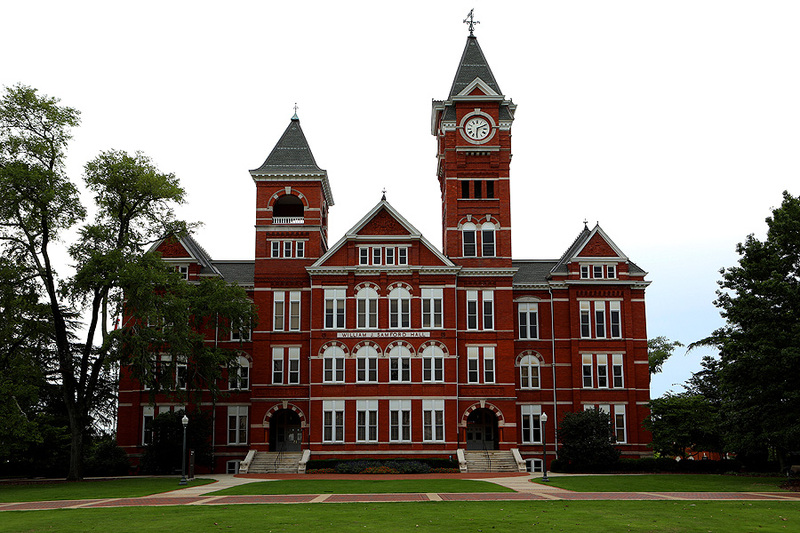 It is Alabama's fastest-growing metropolitan area and the 19th fastest-growing metro area in the United States since 1990. 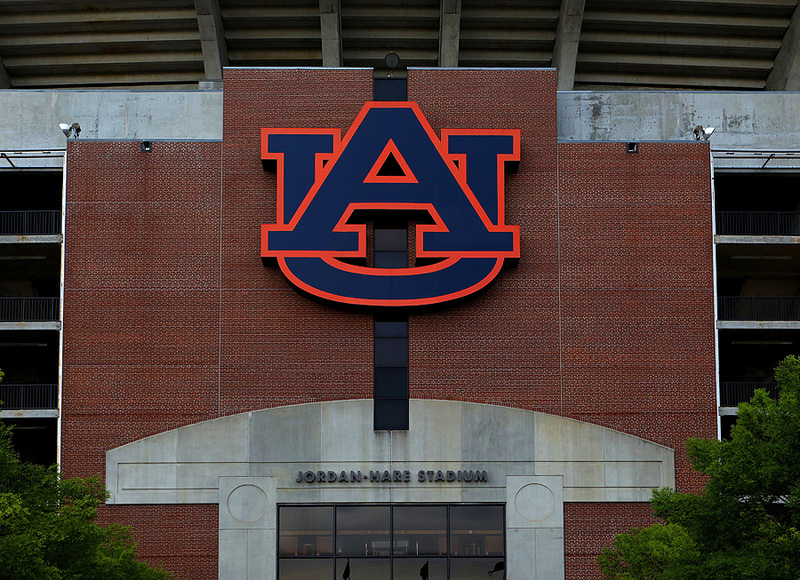 U.S. News ranked Auburn among its top ten list of best places to live in the United States for the year 2009. 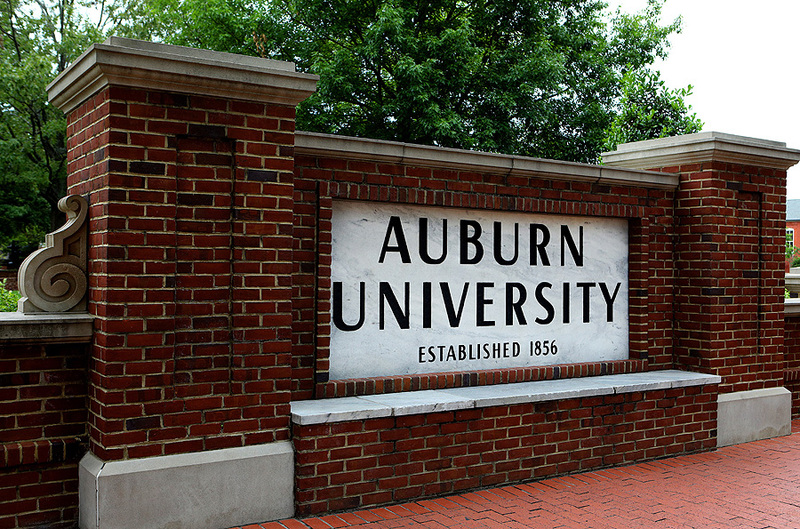 The city's unofficial nickname is “The Loveliest Village On The Plains” taken from a line in the poem The Deserted Village by Oliver Goldsmith: “Sweet Auburn! 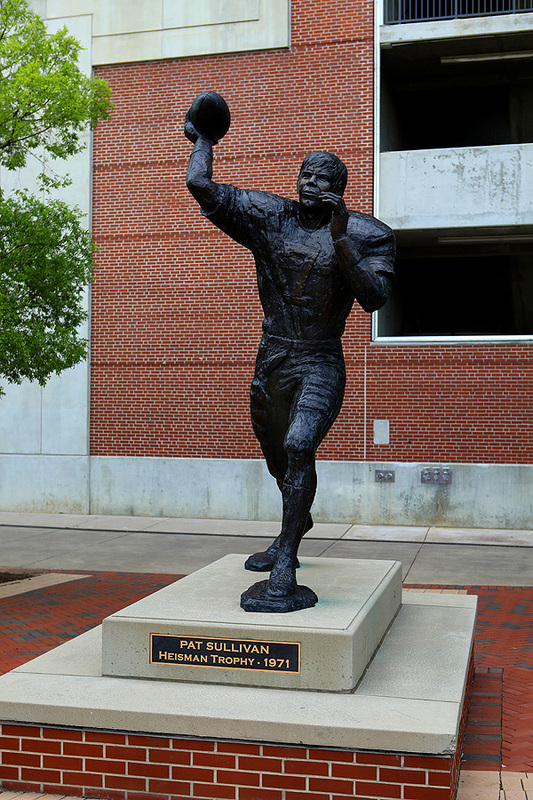 loveliest village of the plain”. 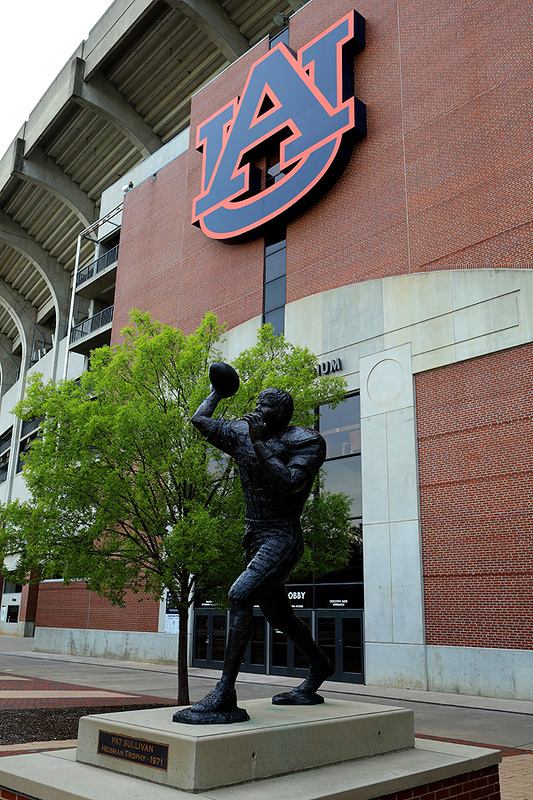 While on my way to Montgomery, Alabama I planned a very quick visit to Auburn University. 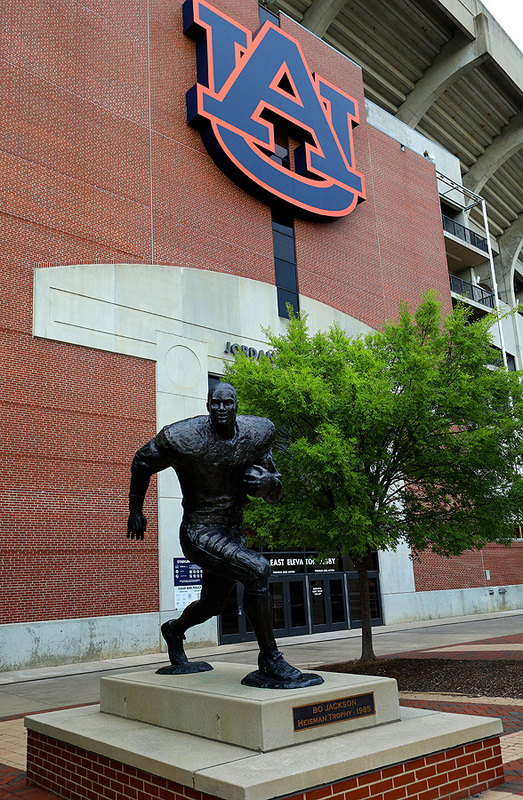 Auburn is a place I always wanted to visit since I'm a fan of Cam Newton, Charles Barkley and Bo Jackson. 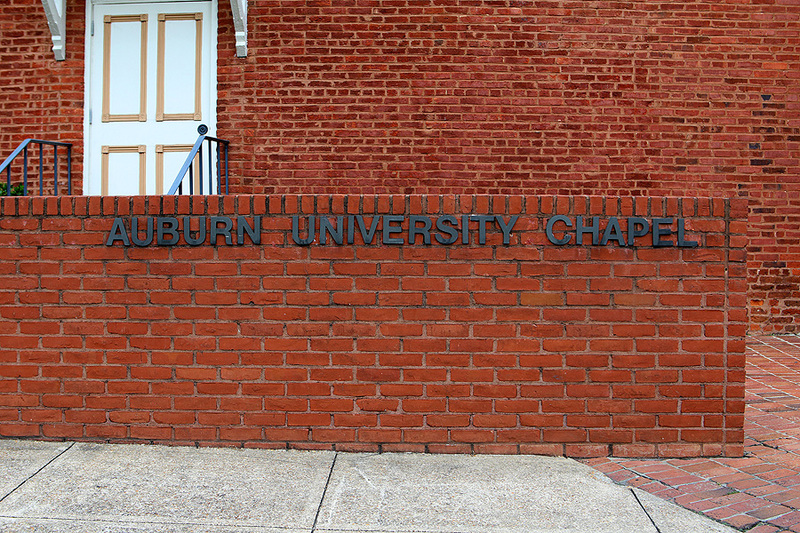 Once I arrived, I found a parking space in front of the Auburn University Chapel. 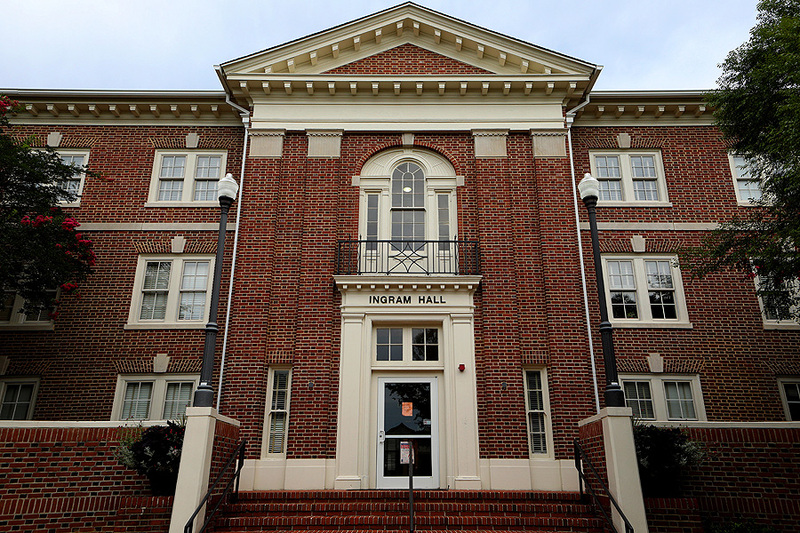 Across the street, I photographed William J. Samford Hall, an icon of Auburn University which houses the school's administration. 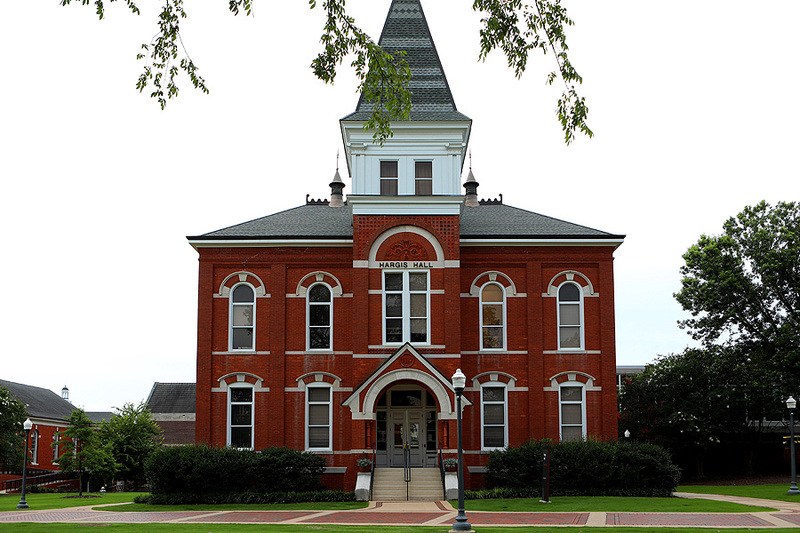 The building is named for William J. Samford, the Governor of Alabama from 1900 to 1901. 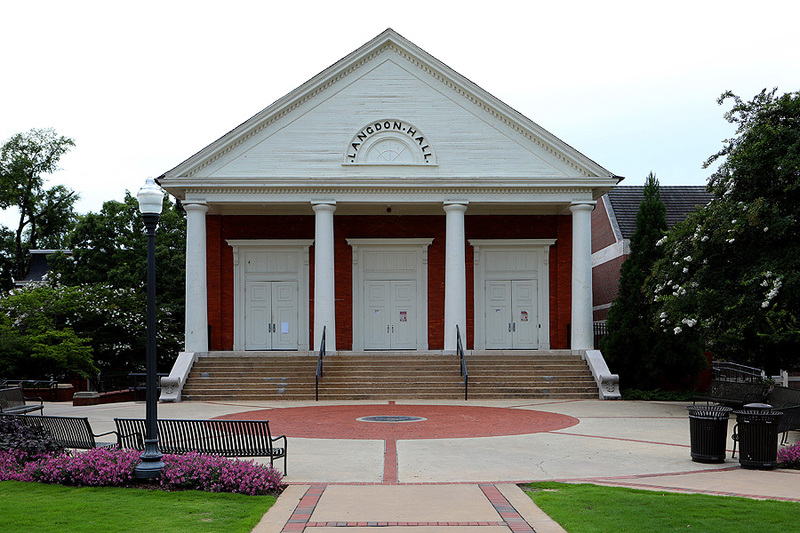 Next to Samford Hall is The Historic Lathe. 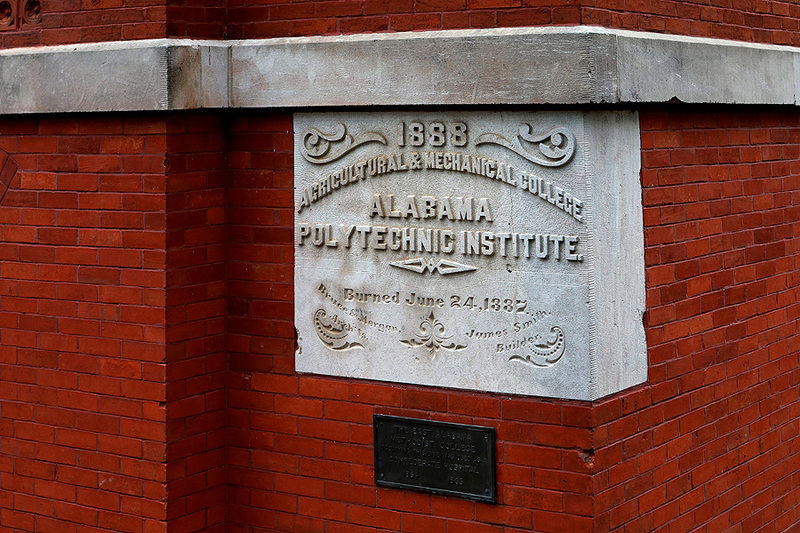 The lathe has a plaque explaining its origin and other facts associated with the Civil War relic presented by Alpha Phi Omega in 1952, according to its plaque. 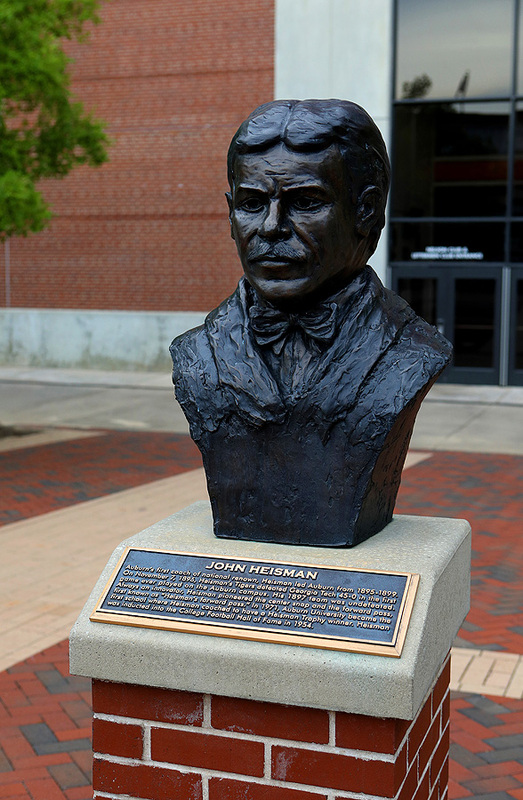 “Built in Selma, Alabama, during the early part of the Civil War for the manufacture of military supplies for the Confederate Army”, the plaque reads. 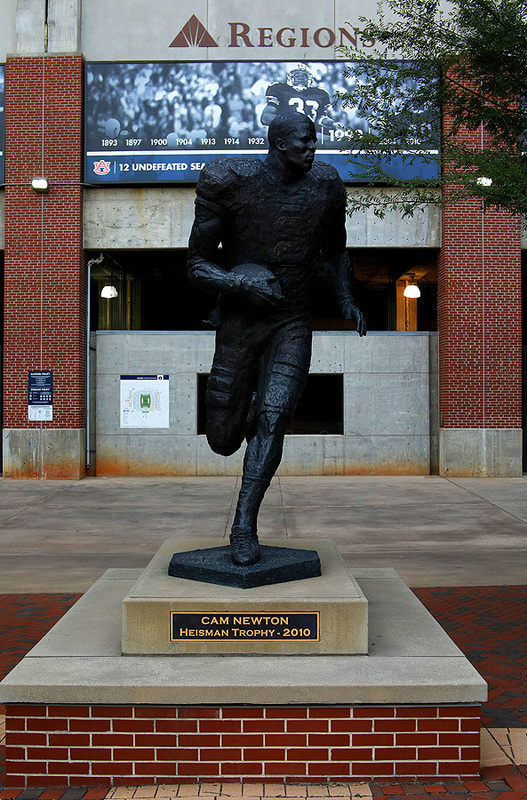 “During the war an attempt was made to move it to Columbus, Georgia, to prevent its being seized by Federal troops”. 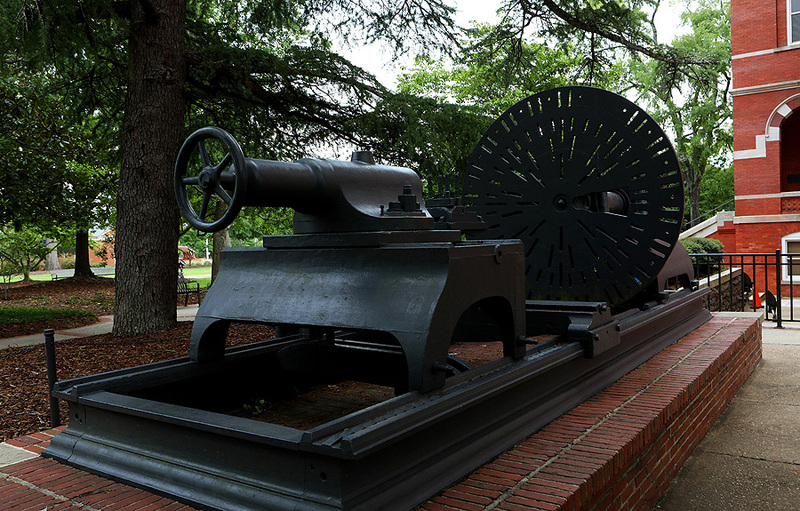 According to the Encyclopedia of Alabama, the Selma Naval Foundry used gun lathes to produce weapons for the confederate army during the Civil War. 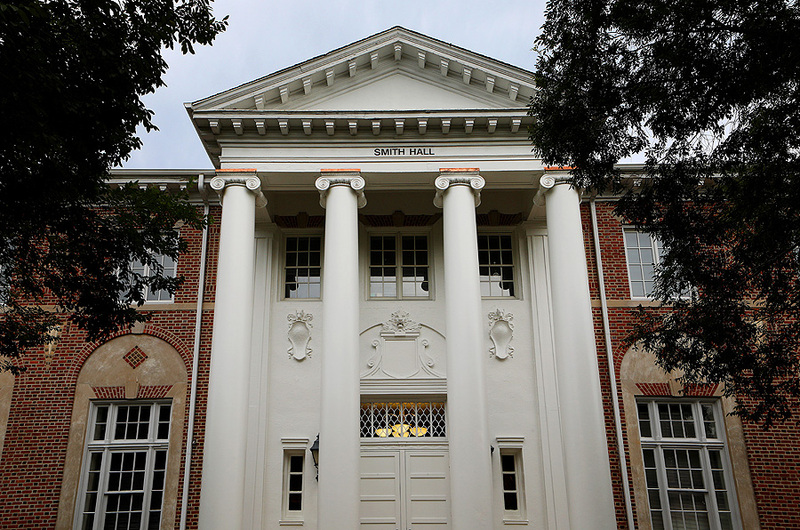 Making my way along College Street, other highlights I photographed were Langdon Hall, Hargis Hall (Graduate School), Ingram Hall, Smith Hall O.D. 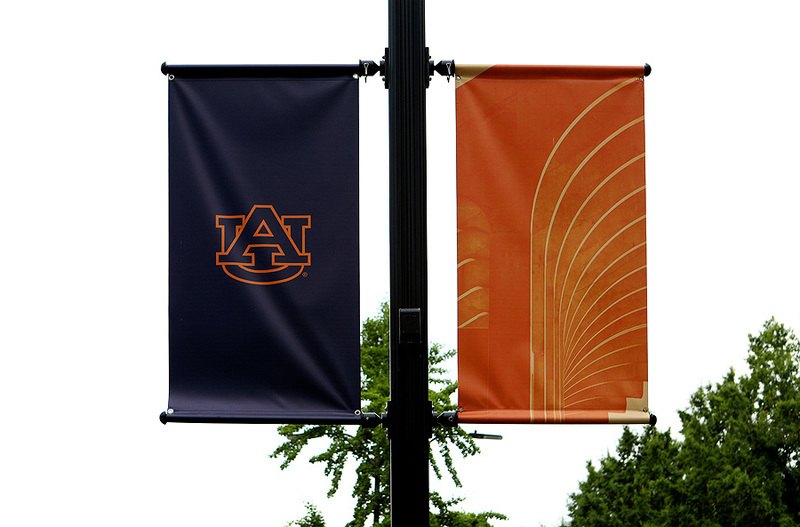 and a few banners along the way. 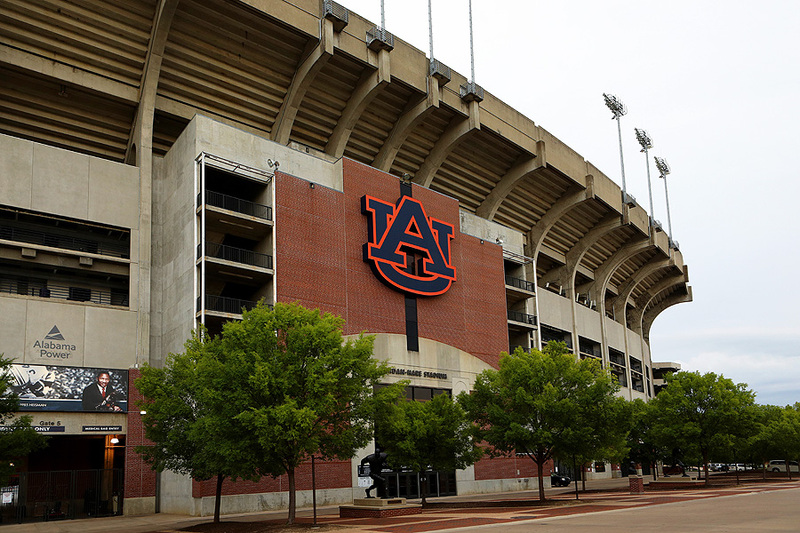 My next stop was over to Jordan-Hare Stadium, home of the Auburn Tigers football team. 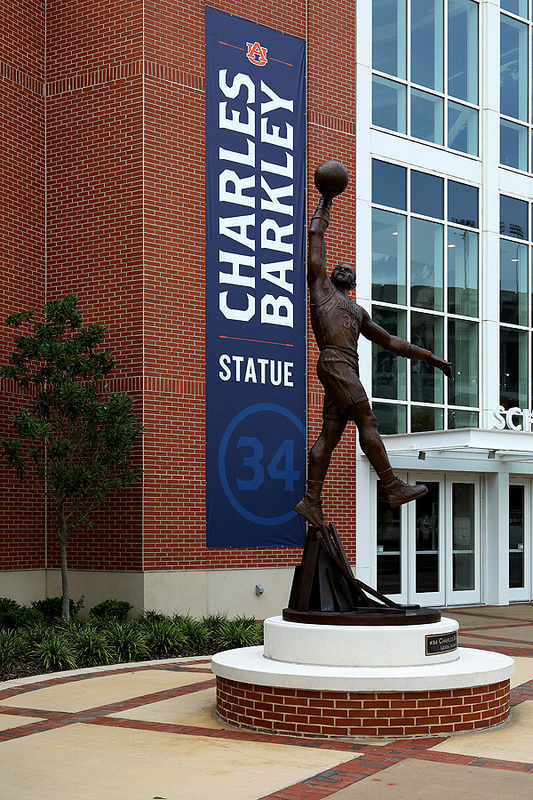 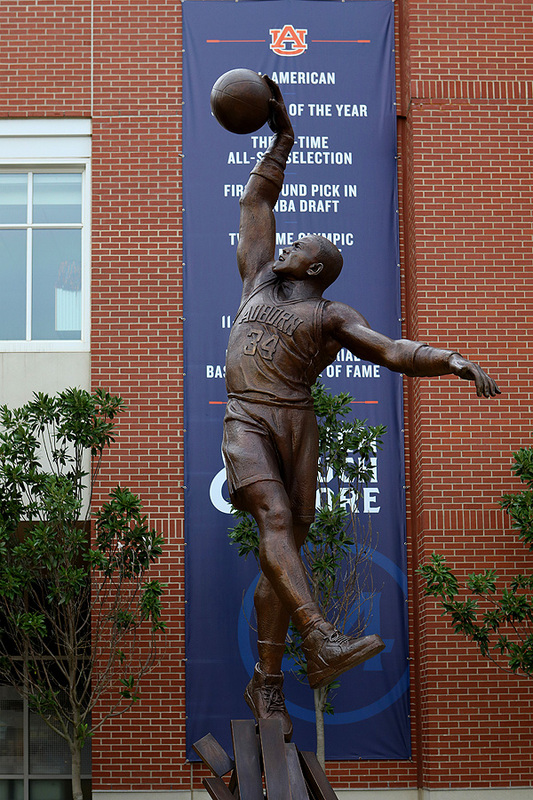 But first, I stopped by Auburn Arena, home of the Auburn Tigers basketball team, to photograph Brian Hanlon's statue of Charles Barkley. 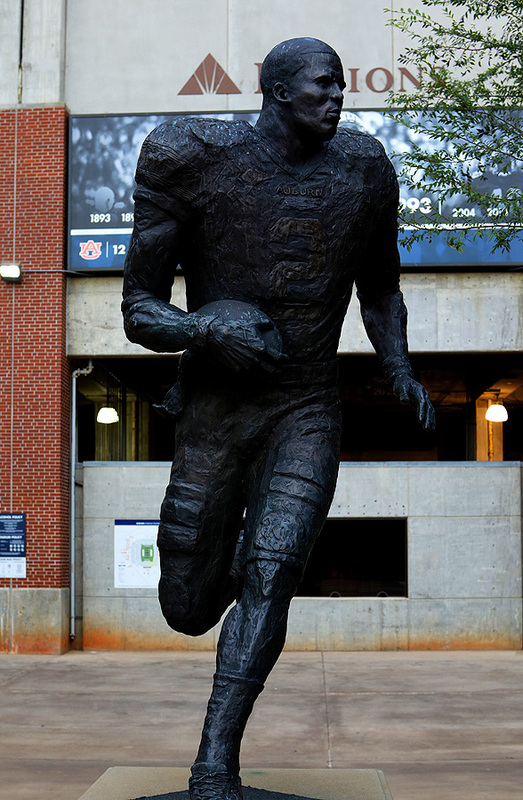 Down the street I stop at Jordan-Hare Stadium to photograph Ken Bjorge's statues of Cam Newton, Bo Jackson, Pat Sullivan and former coach John Heisman.